In memory of John Almey. He died the 14th of May 1779 aged 66 years. 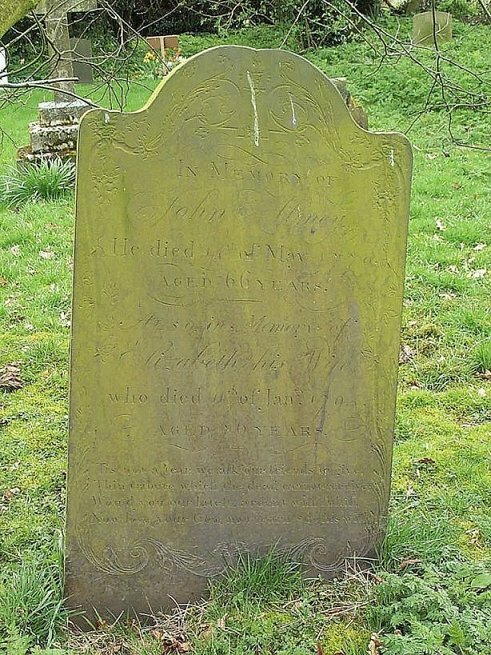 Also in memory of Elizabeth, his Wife, who died the 11th of Janry 1794, aged 76 years. This tribute which the dead cannot receive. Now love your God, now learn & do his will.